Bourbon and Coke is good, Bourbon and Pepsi is disgusting. I believe that Wild Turkey Rye and Kosher for Passover Coca Cola is the pinnacle of this fine drink. 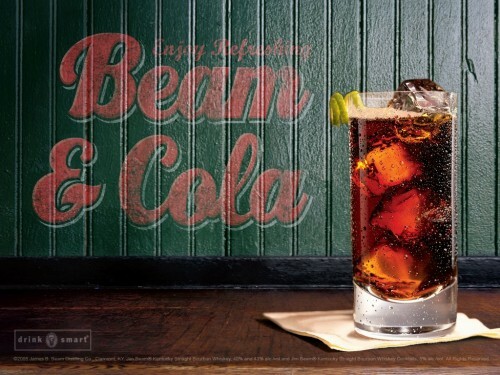 Jim Beam and coke is about as good as it gets.